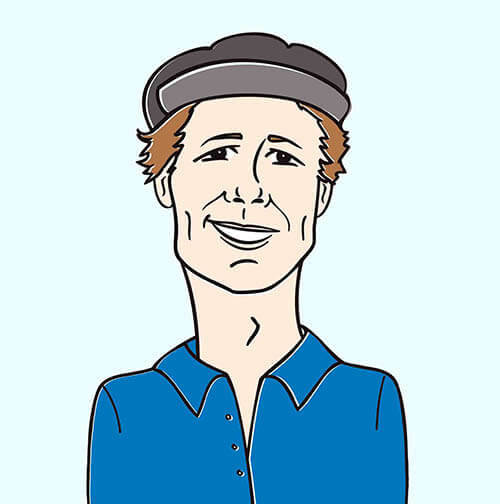 Are you tired of the obscurity and gravity of the current music scene? Does it feel like people are forgetting how to have fun in these dark times? Well, worry not programmers – Patent Pending are here to change the mood around with their hilarious new single “Douchebag.” It’s Andy Genser and the HIP staff to invite you to an awards ceremony you won’t soon forget! Regardless of whether you like pop-punk or not, this clip is an absolute must-watch, though we’ll have to warn you: this song will be stuck in your head for weeks! 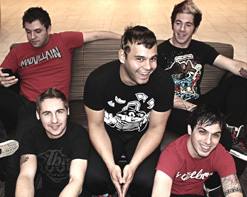 Patent Pending are no strangers to pop-punk genre. In fact, you can consider them royalty at this point. The band has earned video placement through their massive and loyal fanbase on MTV2, MTVU, FUSE, Much Music and many more! Emerging from the basements of Long Island, NY; Patent Pending has carved an instantly recognizable name for themselves in the pop-punk scene through dozens of nationwide tours with bands like Cobra Starship, Gym Class Heroes, Zebrahead, Bowling For Soup, and countless others over the last few years. The group also keeps a constant presence on the Vans Warped Tour, playing the mobile festival year after year. The band is again making waves with the release of their fantastic album Second Family. The album was produced by Jordan Shmidt (All Time Low, Motion City Soundtrack, Sing It Loud), so don’t expect anything less than pure unadulterated punk ecstasy from this release! To add to the madness, the video for “Douchebag” was produced under the supervision of Jaret Reddick, the lead singer of Bowling For Soup. With such a positively radioactive formula, things are destined to explode, right? The answer is a loud and definite YES! This clip takes place at the prestigious Douche Awards, a brilliantly fabricated ceremony created for your entertainment. Singer Joe Ragosta hosts the show, awarding contenders for things like “Douchiest Profile Picture” or “Best Hair Gel Application,” and let’s not forget “Best Sunglasses At Night.” Fittingly, the award itself resembles a red beer pong cup with a ball attached to it. Although this clip is an absolute riot from start to finish, the song is good enough to stand on its own, with hooks to boot. This track is everything a pop-punk song should be: relatable, tongue in cheek, and in infinitely catchy form. If we can promise you one thing this season – it’s that you will not be able to get this chorus out of your head. Join us for one of the most exciting and relatable clips of the fall! Patent Pending is here to rock your socks off with their undeniably awesome release Second Family. We’ve got copies of it here for contests and giveaways, so don’t be shy to ask for some! If you need more info, call Andy Gesner at 732-613-1779 or e-mail us at HIPVideo@aol.com. You can also visitwww.PatentPendingMusic.com or www.Facebook.com/PatentPendingMusic to find out more about Patent Pending and their fall/winter tour dates.